Imagine What Is in a Book! 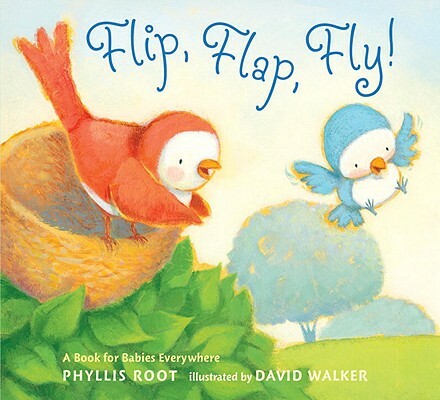 Picture books help children expand their imagination. Reading stories about how other people think, what they do, and places that are different than their own, help children learn new vocabulary and think more creatively. It helps them be better problem solvers! Any book can be an adventure for a child when you talk about it as you tell the story. Ask your child questions, suggest some different endings to the book, and talk about new ideas. See if some of the following get your child’s creative juices flowing. “Now What Can I Do?” by Margaret Park Bridges, pictures by Melissa Sweet. A raccoon child wonders what he can do now that it’s raining outside. Every parent knows that complaint! His mom sees all the chores to do inside and helps her son see how fun it can be to make everything into a game. Making his bed is much more fun if he pretends his bed is a boat. Putting toys away becomes herding cattle. Putting socks in a drawer is like making a slam dunk in a basketball game. Brushing teeth can be pretending to be a singer. After reading this book, you and your child can think of even more fun you could have around the house using just a little imagination. “Magic Box” by Katie Cleminson. When a girl pretends she is a master magician, she makes animals appear and disappear in great abundance. Animals can float and play music too! Illustrations are ink outlines with blues and reds splattered into the background. With a wave of her magic wand, everything vanishes… except one thing… Read the book to find out what is left! “Red Wagon” by Renata Liwska. Lucy has a new, bright red wagon and is ready to play, but her mother wants Lucy to use the wagon for chores. Instead of pouting, Lucy does her chores with her wagon and her trip to the market becomes a high-seas adventure, a ride through outer space, and a day at the circus. 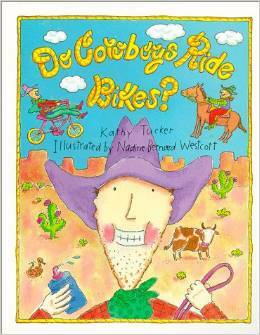 “Do Cowboys Ride Bikes?” by Kathy Tucker, illustrated by Nadine Bernard Westcott. A question on each page and then a rhyming answer tell about cowboy life, from what they eat and say, to what they do at night. This book is a great conversation starter. Is cowboy life easy or hard, fun or just a job? After this book you can read, “Do Pirates Take Baths?” by the same author/illustrator team. “Mouse Mess” by Linnea Riley. What would your life be like if you were a mouse? This rhyming story has illustrations with big bold shapes and colors for young children. Mouse has fun after the humans go to bed, raking the spilled corn flakes, nibbling food, making a castle with brown sugar, taking tops off of jars–what a mess! After his night of adventure he takes a bath and goes to bed. Will the humans know that he has been there?